Do you have a strong interest in campus media and communications? Do you want to play an active role in the future of student media at UH Manoa? (CSO), is recruiting for student positions to the board that oversees KTUH, the campus radio station, Ka Leo O Hawaii, the campus newspaper, UH Productions, the student video production organization and Hawaii Review, the student literary journal. The board is looking for students to serve on the board’s inaugural year. This is a rare opportunity to shape student media and make a difference for the student community.Becoming a part of the Student Media Board is not only a great way to get involved on campus. It’s also an excellent opportunity to boost your resume while gaining leadership and management skills that will translate into any professional career. You will also have a chance to meet new people and important people while making a difference in the campus community and learning about the evolving world of media. Students receive stipends for their work. This position is open to any fee-paying Undergraduate or Graduate student in any major at UH Manoa. The average time commitment required is estimated at about 8 to 10 hours each month. For an application and/or for more information, please contact the Student Media Board at uhsmb@hawaii.edu (Please also cc the Board Advisor, Sandy Matsui at matsuis@hawaii.edu in your email inquiry). by bringing a hard copy to Hemenway 107 . Interviews will be held following this deadline. Please be sure to include the following along with a completed SMB Application Packet: a résumé w/ at least 3 references and a cover letter. The Student Media Board (SMB), a Chartered Student Organization (CSO) on campus, is recruiting for all leadership positions in Ka Leo O` Hawaii, UH Production, Hawaii Review and KTUH for the 2016 – 2017 term. Ka Leo – Editor in Chief is responsible for the online and print publication of Ka Leo O Hawai’i and oversees both editorial and advertising units of the program. Hawaii Review – Editor in Chief is responsible for the journal’s content and operations. Hawai’i Review is published twice a year. 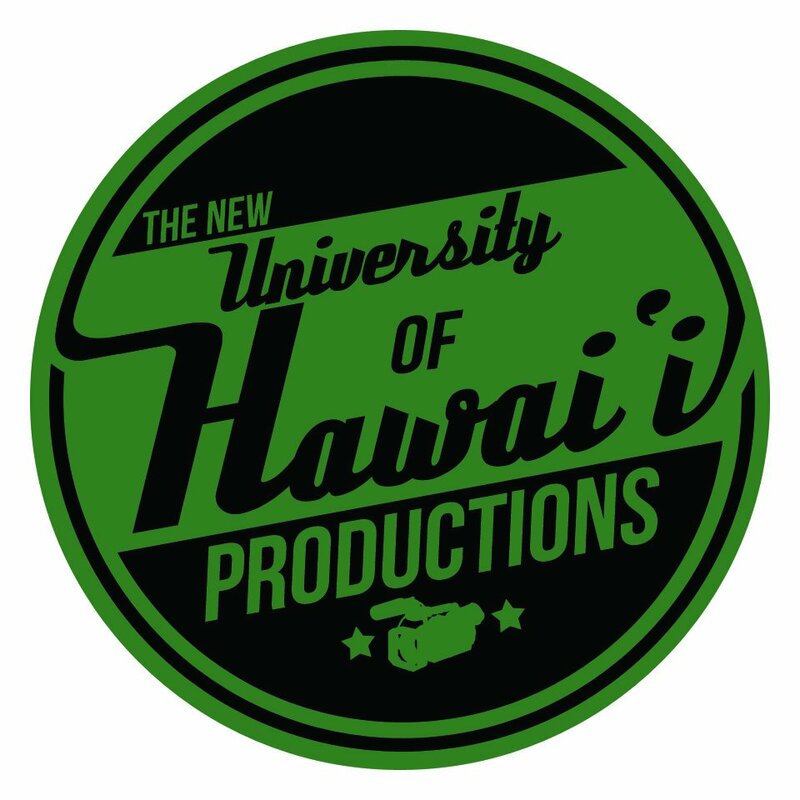 UH Productions – The General Manager is responsible the daily operations of the student-run video production organization at UH Mānoa. KTUH – The General Manager is responsible the daily operations of the student-run radio station that operates 24/7 at UH Mānoa. Applicants must be available for a minimum of two (2) hours per day and a minimum of twenty (20) hours per week, and must be able to demonstrate ability in regards to position of interest. Positions are open to undergraduate students with a minimum of six (6) credit hours, or graduate students with a minimum of four (4) credit hours. Monthly stipends are available. Pick up an application at Hemenway 107 or download via. web. APPLICATIONS ARE DUE FRIDAY, MARCH 11th, 2016, BY 4:30 P.M.
Do you have a strong interest in managing and directing campus media and communications? Do you want to play an active role in future of student media at UH Manoa? Student Media Board (SMB), a Chartered Student Organization (CSO) on campus, is recruiting candidates for the GENERAL MANAGER positions for UH Productions. Becoming a part of student broadcast media on campus is not only a great way to get involved, it’s also an excellent opportunity to boost your resume while gaining leadership and management skills. You will also have a chance to meet new people while working directly to shape student media for the future and receive a monthly stipend. The General Manager of UH Productions is responsible for the daily aspects of the operation, administration and management of UH Productions, the student-run video production organization at the University of Hawai‘i at Mānoa. The General Manager is directly in-charge of the programming and operations, on behalf of the Student Media Board. He/she must be able to collaborate with other organizations and groups on campus to achieve a cohesive vision of media. Applicants must be available for a minimum of two hours per day and a minimum of 20 hours per week and must be able to demonstrate ability with video production. Positions are open to undergraduate students with a minimum of 6 credit hours or graduate students with a minimum of 4 credit hours. Pick up an application at Hemenway 107 or through the application link below. For inquiries/questions, please email uhsmb@hawaii.edu with ‘UHP GM Inquiries/Questions’ as the subject line. The Student Media Board (SMB), a UHM Chartered Student Organization (CSO), is recruiting for student positions to the board that oversees KTUH, the campus radio station, Ka Leo O Hawaii, the campus newspaper, UH Productions, the student video production organization and Hawaii Review, the student literary journal. The board is looking for students to serve on the board’s inaugural year. This is a rare opportunity to shape student media and make a difference for the student community. Becoming a part of the Student Media Board is not only a great way to get involved on campus. It’s also an excellent opportunity to boost your resume while gaining leadership and management skills that will translate into any professional career. You will also have a chance to meet new people and important people while making a difference in the campus community and learning about the evolving world of media. Students receive stipends for their work. For an application and for more information, contact the Student Media Board Advisor, Sandy Matsui at matsuis@hawaii.edu. by bringing a hard copy to Hemenway 107 . Interviews will be held following this deadline. Aloha! Welcome to Fall 2015 semester. Here are the dates for the Student Media General Board Meetings. All meetings are open to the public. If you have any questions please contact uhsmb@hawaii.edu. I am pleased to announce the the UH Manoa Chancellor has approved the merger of the Broadcast Communication Authority and the Board of Publications Chartered Student Organizations. As of July 1st we will be known as the Student Media Board! It has been a long process starting from a suggestion brought up at a strategic planning meeting in 2011. There have been many committed people who have dedicated countless hours seeing this through. It is a monumental day for these two organizations and I am proud to have been apart of this. This first year will be a transitional learning process.We will be functioning as a single board while our fee structure remains the same; that will be our next project. We will also work on combining our technology efforts. Please keep your eyes open for those updates. Below is the signed memo to the chancellor with its appendices and one without. The appendices show all of the efforts and thought processes behind the merger effort. If you have any questions please feel free to email.